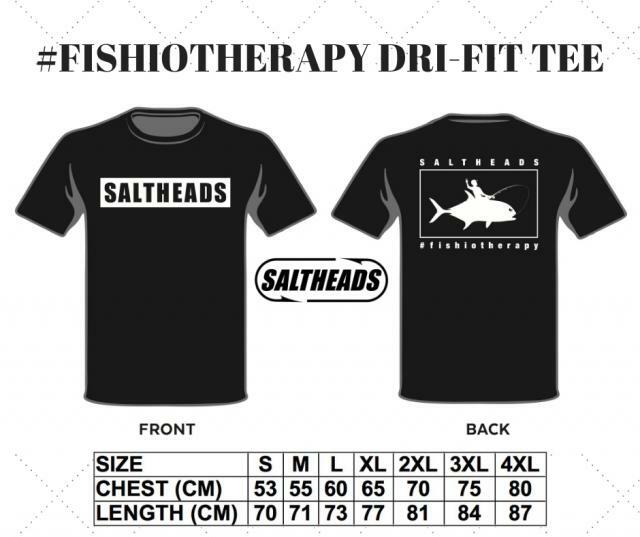 Our #fishiotherapy tees have just touched down. The tees are made from high quality, light weight Dri-Fit material and have a relaxed fit to allow a range of motions. Sublimation printing is used to maintain the colour integrity of our bold logo and stylish design. You are bound to turn heads whether you are out on the water fishing or just hanging out after. $30 each. Comes with a free die-cut uv sticker. Worldwide Shipping Available.